Forest Essentials fresh flower-infused water Body Mist is the perfect way to soften and hydrate your skin, with an uplifting and harmonious effect on the senses. The seductive scent of Indian Rose and Cardamom give a long lasting aroma with calming effect on the senses while hydrating the skin. 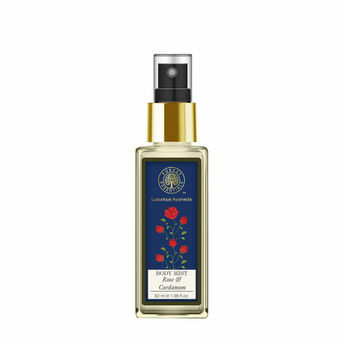 Alternatively, you can also find many more products from the Forest Essentials Body Mist - Rose & Cardamom range.